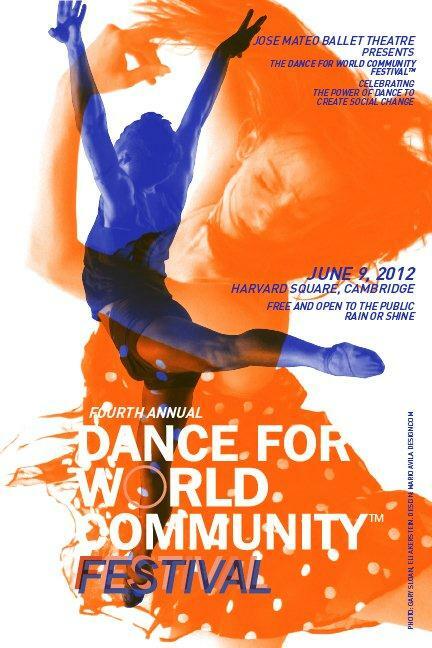 "Solemn Moment" was originally choreographed in 2006 and presented by World Music/CRASHARTS for Dance Straight Up! The piece was inspired by a photograph taken in the 1980's of an amateur performance troupe from an obscure region of foreign country. The dancers enact choreography and song; perhaps they are rehearsing, perhaps they are performing, or perhaps they are fantasizing. The work is an invitation to glance inside their world. "Salute" premiered in 2015 in a Pentacle presents The Gallery and is a dance for 3 women in colorful, sequined jumpsuits. As the dancers journey through Beethoven's Concert No. 5 in E Flat Major for Piano and Orchestra, they take timeout to communicate non-verbally with the audience through gestures. This gesticulation was created by each dancer filming themselves talking, by themselves, for five minutes then learning their physical accompaniment. And "Madame Sherry" (2012) by David Parker of David Parker & The Bang Group. A solo created for Lorraine for LCTC's 10th Anniversary Showcase. The solo embodies a cinematic intersection where hopes and dreams both aspiring, and retired, reverentially meet. We performed SATURDAY, July 19, at Keene State College as part of the Southern Vermont Dance Festival, 2014!! A new dance cabaret by David Parker & The Bang Group! In a 21st-century version of elegant supper club shows of yore, they're singing and tapping out a set of romances between 3 men and a woman. It's sort of "Jules et Jim" in tap shoes. 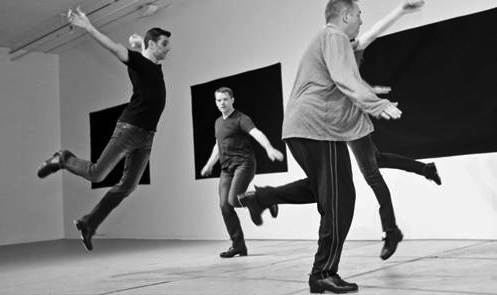 The songs range from Burt Bachrach and Frank Loesser to Rossini and Tchaikovsky to 4-part-tap counterpoint from a score by Steve Reich and there is a plenitude of deluxe dancing by The Bang Group. You will be forever grateful that you saw it. March 28th at 8:00 features The Bang Group with Lorraine Chapman, Kelli Edwards and Nicole Pierce in new work commissioned by The Bang Group and DanceNow/Boston a new initiative of David Parker in partnership with DanceNow/NYC. The Gallery at Pentacle is an eclectic group of vibrant and talented dance makers, some of whom may be unfamiliar to you. We are excited to represent them in the national performing arts marketplace helping them establish rewarding connections with presenters and communities. From solo performance to culturally specific dance-theatre to multidisciplinary and traditional modern dance companies The Gallery encompasses a diverse range of engaging dance artists. There is much to be discovered. 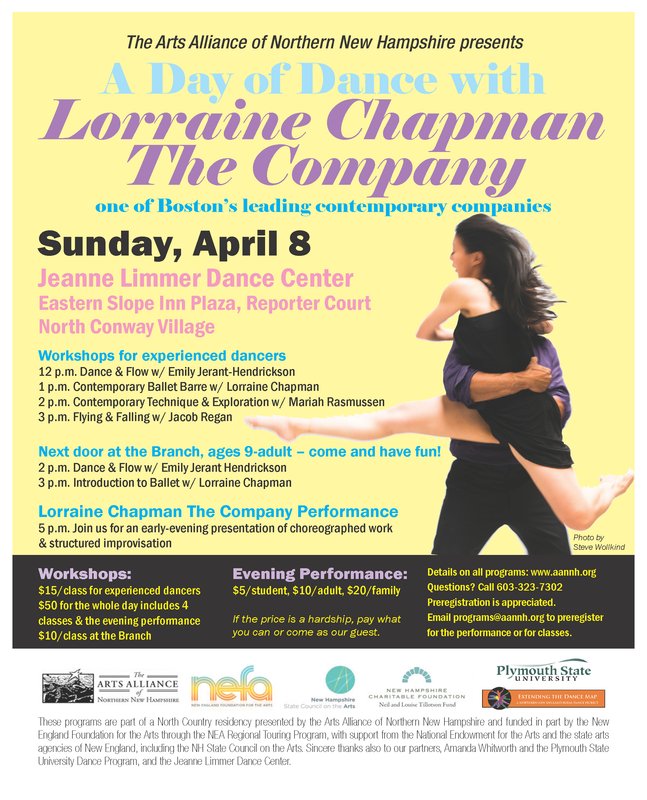 Formerly known as Spring Works, this program features new works created by Dance Division students, as well as a premiere by local choreographer and Boston Conservatory faculty member Lorraine Chapman. Also featuring a work by 2013 alumna Margot Gelber, the inaugural presentation of The Boston Conservatory Dance Division's Alumni Commissioning Project. The Southern Vermont Dance Festival promises to be a exciting four days of dance classes, lectures and performances hosted in the one and only Brattleboro, VT. The festival attendees will have their choice of several performances to attend each evening as well as a choice of many different classes to choose from each day including Ballet for all levels and Improvisation with Lorraine Chapman. There will be many amazing opportunities offered to the professional dancer, dance student, and dance enthusiast. The newly formed Cape Dance Festival, Cape Cod's first professional dance festival, presents one evening of dance at the Province Lands Outdoor Amphitheater in Provincetown, MA. 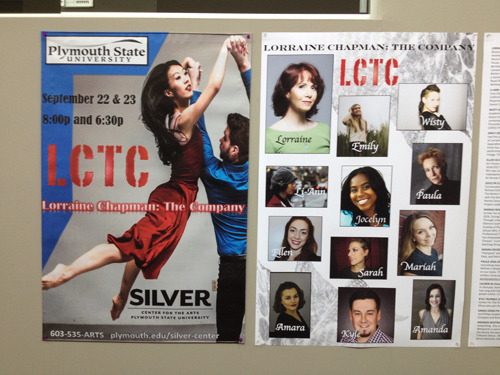 The program will include some of the highest-caliber American choreographers, dancers and dance companies. Artists confirmed for this year's festival include Paul Taylor Dance Company, Project Moves Dance Company, CorbinDances, Lady Luck Burlesque, Lorraine Chapman the Company and Yesid Lopez. LCTC will lead a workshop that explores improvisational techniques and tools for body and voice, emotion and image. 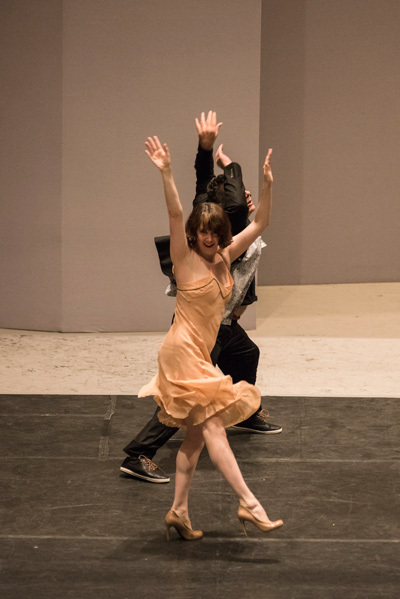 The workshop will include exercises designed by influential Polish theater director Jerzy Grotowski to help develop the performer’s “internal key to an external door”. 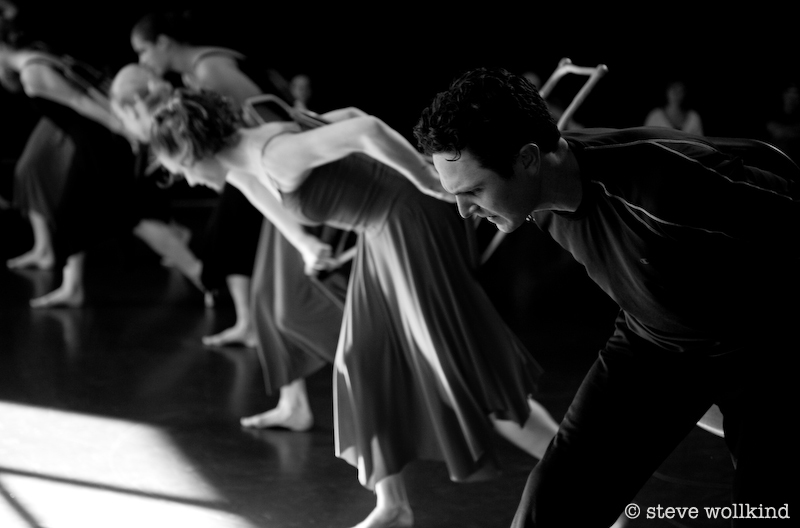 LCTC’s Boston Center for the Arts Dance Residency 2011 implemented a selection of Grotowski’s physical warm-ups for actors to create Safe Space which The Boston Globe described as “vividly memorable” and “powerfully visceral”. Participants will be encouraged to enter a state of being that is not dancing or acting, but somewhere in between. 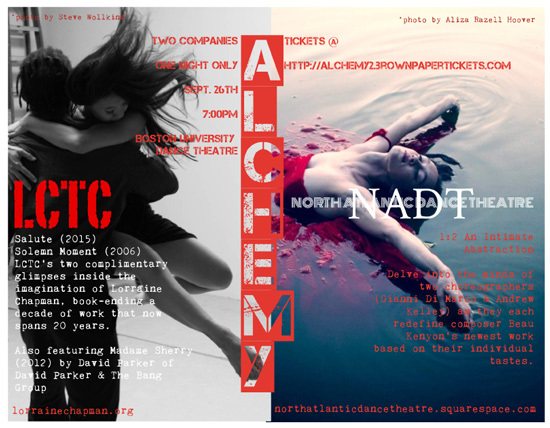 Both dancers and actors, professional and preprofessional are encouraged to participate. Movement at the Mills is an exhibition of dance by local and national choreographers and companies. Performance occurs on three stages throughout the evening. Audience members are invited to walk through the gallery and observe various styles of dance as artwork. 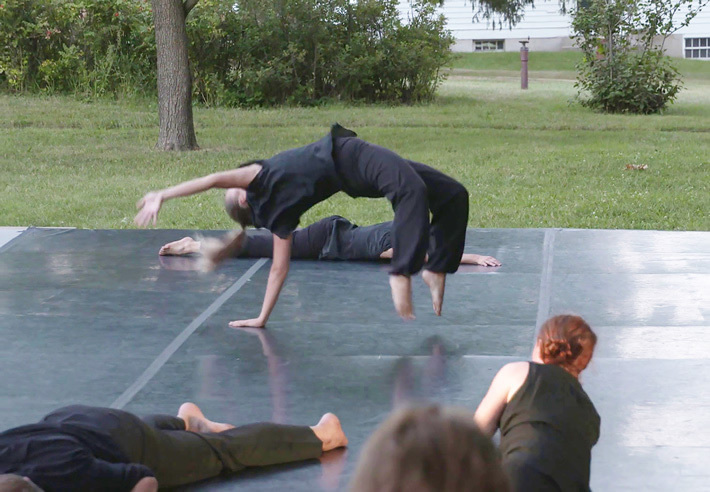 This free-form program is an exciting, non-traditional way to experience dance. The Mills Gallery is dedicated to presenting contemporary works by emerging and established artists and curators. The Mills presents 6 exhibitions per season in its space. Through its public program series, the BCA provides multiple opportunities to engage with the exhibits, the artists, and the artwork. Across The Ages Dance Project had their second annual concert on June 1st-3rd, 2012 at Green Street Studios in Cambridge MA. 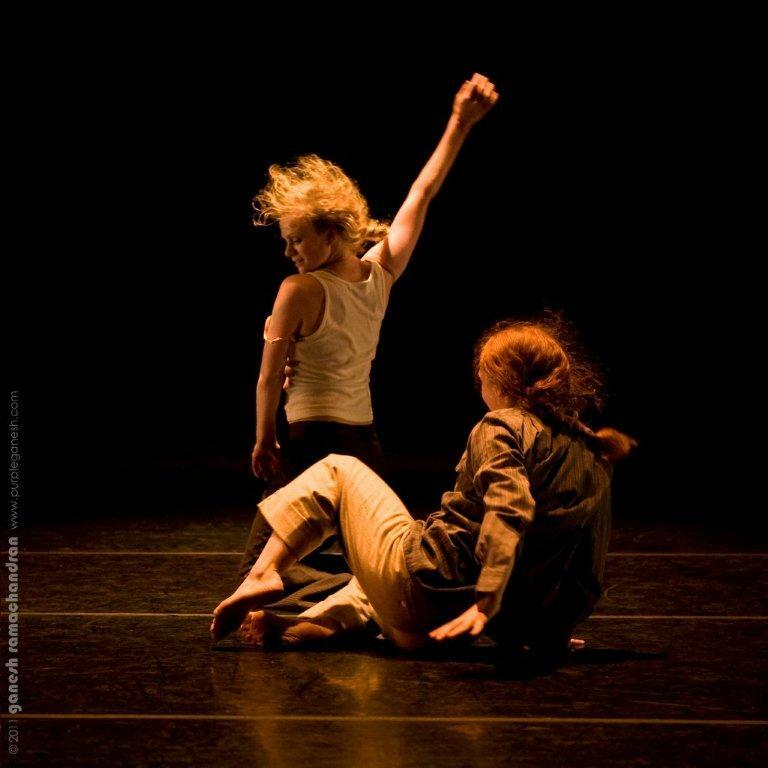 Across The Ages is being produced by dancers Eliza Mallouk and Marcie Milter. This concert emphasized an intergenerational ensemble of dancers and featured five unique choreographers. Visit Across The Ages on Facebook. Watch Across The Ages Dance Project Documentary Excerpts. The Dept of Fine & Applied Arts at Curry College has a new lunch time performance series that is free and open to the public. 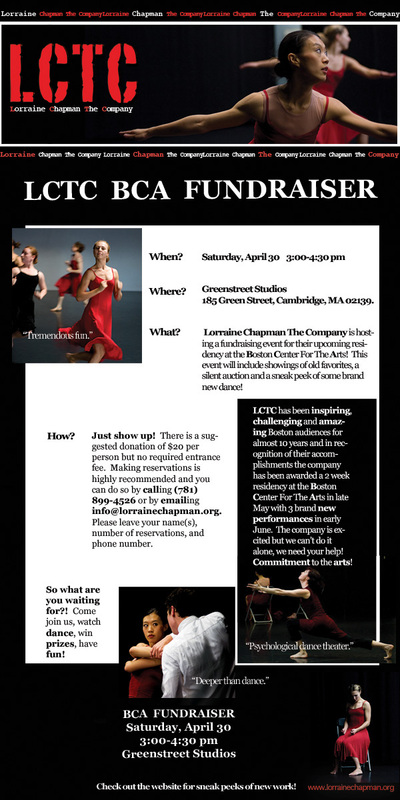 On April 27th at 12:30pm Lorraine Chapman The Company (LCTC) performed a 20 min performance followed by a Q&A with the artists. 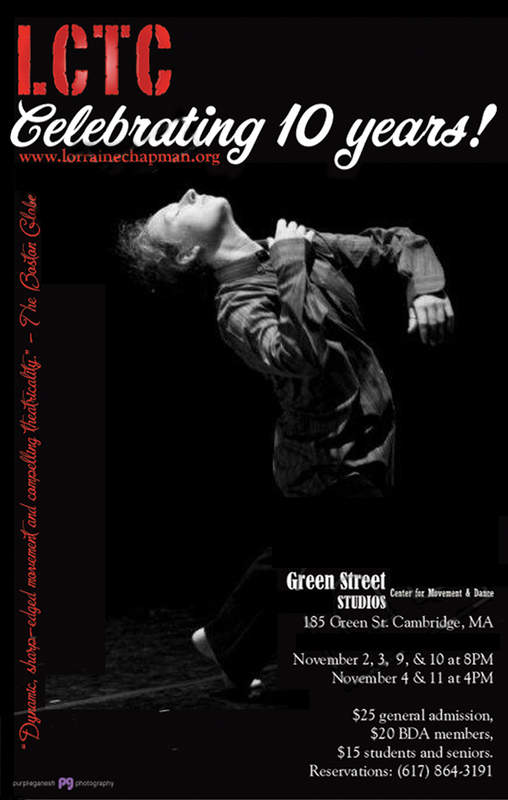 Green Street Studios is celebrating its 20 year anniversary with an unique and unforgettable Gala on Saturday, May 12th, 8pm, at 185 Green St., Cambridge, MA 02139. Tickets are $100 (Special Guest), $50 (Gala and Reception), and $25 (Gala). Marcus Schulkind, Cheri Opperman, Ruth Birnberg, Paula Josa-Jones and Pam White. 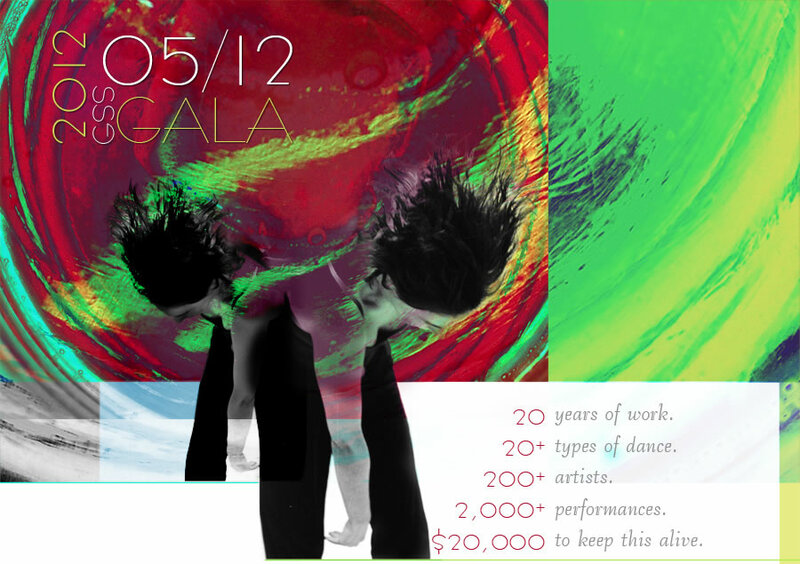 The Gala will conclude with a reception and a party with additional small format performances. 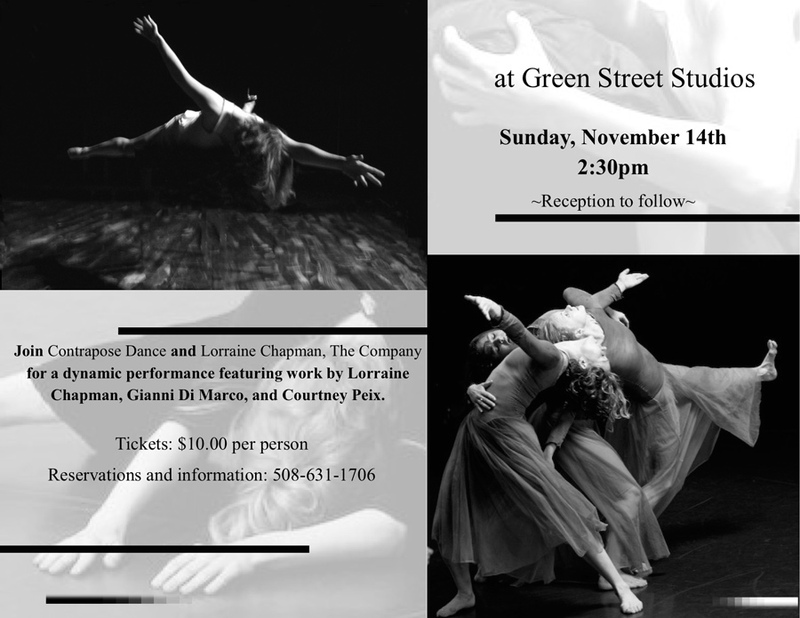 In conjunction with this historical Gala, an online Fundraiser was launched this month, where people can donate to support Green Street Studios and in this way help one of most important and iconic dance venues on the East Coast. Includes original choreography by students of the Dance Division and new works by choreographers Lorraine Chapman and Anna Myer. Mary Wolff and Cathy Young, co-producers. Safe Space by LCTC/lorraine chapman the company inc.
Boston Center for the Arts’ Dance Residency artist LCTC / lorraine chapman the company inc’s new work Safe Space, is inspired by Stephen Wangh’s book An Acrobat of the Heart, a physical approach to acting inspired by the work of Jerzy Grotowski. 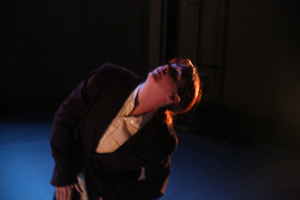 The evening-length dance/theatre piece Safe Space will implement techniques designed by Jerzy Grotowski that develop the connection between the performer’s inner being and expressive body. Performers will share with the audience, a state that is not dancing or acting, but somewhere in between. Sneak peek of LCTC's newest work "Displaced Persons"
by Emily Beattie, Ruth Bronwen, Sunny Hitt and Cat Murcek! Summer Stages Dance, Saturday, July 11, 2009. The Yard on August 22, 2009. Read the Boston Globe's glowing review, July 13, 2009 (pdf, 3.6mb).